Picture Book Monday with a review of Duck and Goose Honk! Quack! Boo! As I write this post my seventeen year old daughter is making a witch's broom to go with her Halloween costume. She is going to be Kiki, the character from the film, Kiki's Delivery Service. Halloween was not celebrated in the country that I grew up in, so I did not get to dress up when I was a child. After I moved to the U.S. when I was twenty-one I started participating in Halloween festivities and it has been so much fun. Since Halloween is tomorrow, today I am offering you a festive picture book title to read. In the story two little birds have an adventure that is funny, with just a little touch of Halloween spookiness to keep young readers guessing and wondering. Duck and Goose Honk! Quack! Boo! Tomorrow is Halloween and Duck is curious to know what Goose is going “to be” on the festive day. Goose explains that he is going to be himself as usual, which is when Duck explains that Halloween is the one day when you should not be yourself. Thistle then appears on the scene and she tells her friends that her Halloween costume is a secret. They will have to wait until the next day to see what she is going to dress up as. As she leaves, Thistle tells Duck and Goose to “beware the swamp monster,” a comment which puzzles them greatly. It also makes both Duck and Goose feel decidedly worried. Neither of them likes monsters. The next day Duck, dressed up as a ghost, and Goose, dressed up as a super hero, go trick-or-treating together in the forest. They both hope that they are not going to see a swamp monster on this special night and are very relieved when all they see are other young animals trick-or-treating. All goes well until the moment when an owl dressed up as a daisy says that a swamp monster is looking for Duck and Goose. The friends are horrified. What are they going to do? Children are going to love this charming little Halloween tale, which features Tad Hills’ wonderful little bird characters. Soon after I started reviewing children's books, I encountered an alphabet book that was created by a small publishing house in Michigan. The book was unique in that in it poetry, artwork, and sections of nonfiction text were brought together and presented in an alphabet book format. When the publishing house, Sleeping Bear Press, brought out more alphabet books using the same format I was delighted. What a wonderful way to engage young readers. Today I bring you one of these alphabet book titles. Readers can read the poems first, and then they can go back to the beginning of the book and read the nonfiction text. When I first started reading today's book, I was sure that it was going to be depressing. A story about a young person who is cared for by an unkind family member, and who has to live through a hurricane does not promise to be cheerful. I did not take me long to realize that the main character of the story, Ruby, is not the kind of person who allows life's hardships to put her down. As I read, Ruby's attitude, her voice, and her magic made me feel empowered and hopeful. This was an amazing, amazing book and everyone, teens and adults alike, should read it. Many of us, when we see someone in trouble, tell ourselves that is not our problem, not our business. We don't want to be inconvenienced; we don't want to have to deal with drama or difficulties that are not our own. This is a very unfortunate state of affairs, to say the least. If we were the one struggling, would we want everyone to turn their heads as they walk by us so that we are left to cope alone? No, probably not. In this wonderful wordless book we see how the actions of a few good people saves an animal that is in dire need of assistance. We also discover how rich and powerful stories can be when the narrative is presented to the reader through art alone. On the coast right next to a sandy shore there is an island, and on that island there is a lighthouse. A little boy lives in the lighthouse with his father, a dog, and a cat. One beautiful sunny morning the little boy heads out carrying his bucket and spade and soon he is on the beach. He finds a pretty shell and a little girl comes to look at his find. Then the two children go off together. They find a fish in a tide pool, and using the little girl’s net they catch the fish, carry over to the sea, and let it go. By this time the wind has picked up and so the children, along with everyone else on the beach and in the sea, head for home. A storm is on the way. That night the rain pours down, lightening forks across the sky, waves crash against the island, and the little boy and his father are safe and warm in their cozy lighthouse. In the morning they find a very large surprise waiting for them outside. The storm has beached an enormous squid on the sand. The poor creature is all trussed up with a fishing net and it is still very much alive. The boy and his friends have to do something to help the poor creature. 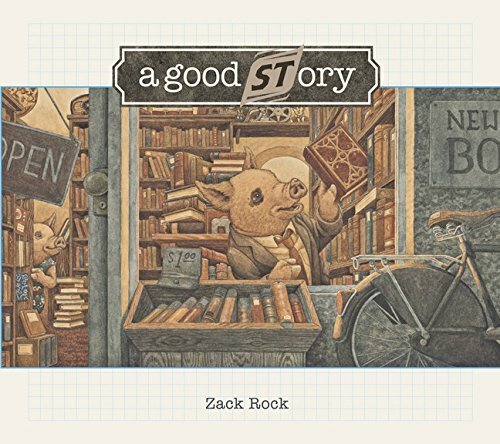 This delightful wordless picture book has a main story that is engaging, and it explores the idea that we all need to do our part to help others. In addition, there are several little stories in the artwork to follow, many of which are amusing. Everyone has days when they feel blue and despondent. Things are not going well for some reason or another, and the future looks far from rosy. At times like these our friends are often the ones who support us. They remind us that bad times don't last forever. and encourage us to hold onto hope and to keep on going. Today's Book of Hope perfectly captures the way in which hope can be kept alive when one has friends by ones side. 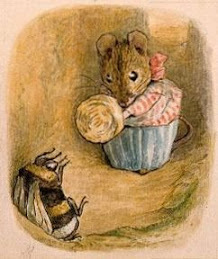 One day Hedgehog is lying curled up in a ball in “the lonely little nook of a lonely little tree” when she hears two animals taking about her. One animal tells the other that Hedgehog seems lonely, and then the other animal says that things will be better when Hedgehog finds friendship. All she has to do is to go and look for it. Hedgehog is inspired by this overheard conversation. The “Friend Ship” is out there waiting for her and now she has to find it. Hedgehog quickly gets to work and builds a boat. A beaver comes a long and asks her what she is doing. Hedgehog explains that she will soon be setting off to find The Friend Ship. The beaver, who wants a friend, asks if he can join Hedgehog in her quest, and she happily agrees. The two travelers don’t travel far in their boat when they come across four deer. Hedgehog asks the deer if they have seen The Friend Ship. The deer like the idea of being on such a vessel; they would like to have friends too, and so they ask if they can join Hedgehog and the beaver, who are happy to welcome the deer on board. Hedgehog and her companions sail north and south. The head east as well, and every time they ask someone if they have seen The Friend Ship the answer is no. Every time Hedgehog is asked if an animal can join her quest she (and everyone else) always says yes. This wonderful picture book shows readers, in a sweet and gentle way, how sometimes the one thing that we want the most in life can sometimes be found right under our noses. In company with Hedgehog and her fellow travelers, we go on a wonderful voyage of discovery and hope. What feels like a long time ago I worked for environmental organizations, and environmental causes were dear to my heart. They still are, though these days I find different ways to make a difference where I can. One of the things I do is to seek out books for young people that help them understand that they can do something about the environmental problems that we face. Today's book is just such a title. The message is subtle, but powerful at the same time. It is a book readers of all ages will enjoy. Far to the north there is an island covered in ice, and its beauty is so remarkable that people from all over the world come to visit it. There is a bird, a little yellow warbler, who lives on the island. Unlike the other birds Warble is very interested in the humans who come and go. In fact, he is a “devoted human watcher” and keeps careful records of all the human types he sees. Then one day a warm fog rolls in and by evening the fog is so thick that no one can really see anything. Warble waits and waits for the fog to lift. He talks to the other birds about the problem, but none of them, except the ducks, seem to care. In fact, many of the birds forget that there was a time when the island wasn’t wrapped in fog all day long. Warble does not forget about the pre-fog days, and he also notices that the ice on the island is melting. Something is really wrong. Feeling alarmed, Warble does his best to talk to the other birds about his concerns. However, none of them want to listen to him and the fog spreads further. Then one day Warble sees a small human, a “red-hooded spectacled female (juvenile)” to be exact. Warble and the human meet and then they discover something remarkable; they can understand one another. Perhaps together they can figure out what to do about the fog. All too often, when something is wrong, people try to ignore it, or pretend that it isn’t there. Solving a problem takes work and effort and they can’t be bothered. This book is a tribute to all those wonderful people (and birds) who are bothered, and who understand that it is important to see, and confront, the problems that face us all. 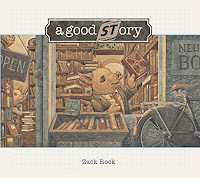 With its subtle environmental message and its charming characters, this picture book will charm adults and children alike. There are some people in this world who think that books have no value; that they are even irrelevant in today's world. Stories, both true ones and fictional ones, have no place in their lives it would seem. The very idea of not having books in my life makes me feel sick to my stomach and cold all over. I have always loved books, and I have always wanted to have books around me. In today's picture book you will meet a pig who lives in a world where words are not valued at all. Numbers rule, and everyone is expected to follow the rules and behave in a predictable and logical way. The pig does his best to live by the rules, but it turns out that he just isn't cut out for a humdrum life. Assistant Bean Counter No. 1138 is a numbers pig. He wrangles numbers all day, and in the world he belongs to “something only matters if it can be counted.” Though his co-workers seem to thrive on this life, Assistant Bean Counter No. 1138 does not feel as if he fits in. In fact, he has never felt like he belongs. In his world everyone is expected to toe the line “without question,” to follow the “old story” that controls everything. However, try as he might to be happy with what is “orderly and ordinary,” this pig cannot help giving in to his impulses to do things that are out of the ordinary. One rainy day the assistant takes refuge in a strange shop that is full of books. There are no numbers in the place. Only words. He is astonished when he discovers that the books contain the most remarkable stories, and through the stories he is transported to incredible worlds where anything can happen. While he is perusing one of the volumes the pig encounters something that captures his interest. He reads about an acrobat. The description of what an acrobat is tugs at him, but the old story that dictates that he must avoid anything out of the ordinary pulls him in the opposite direction. It is not easy to follow your own path in life, and to find the courage to turn away from what is expected of you so that you can follow your heart. This powerful book explores how one little pig discovers that he does not have to follow the crowd if he does not want to. Other options are out there, if he is willing to step off the beaten path. Readers of all ages will connect with this tale as it explores a timeless, ageless, and universal theme.